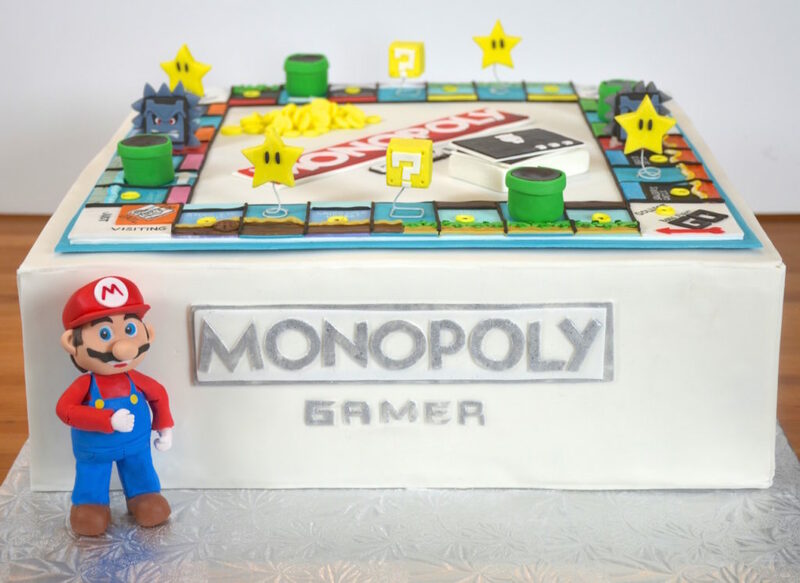 Watch us make a Monopoly Gamer Cake and play the game! I am making my Dad a “Tomopoly” cake for his 80th in 2 weeks. I noticed your board is very stiff! Is it gumpaste or just fondant? I would really appreciate it if you could tell me. 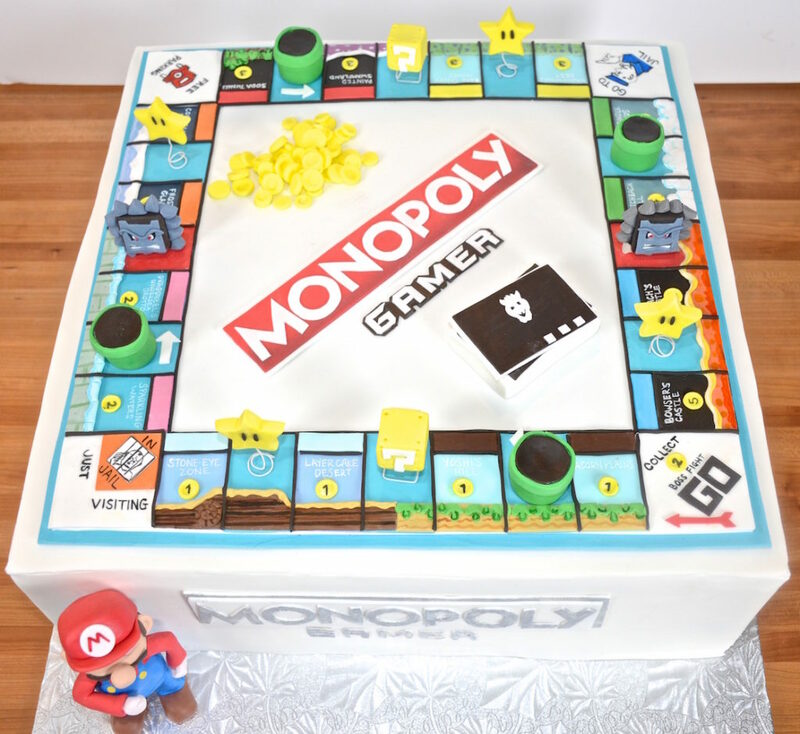 I love your gamer cake and how precise you make everything! It’s fondant with a little tylose powder kneaded into it. I made it in advance and let it dry for a couple of days. I then made the cake and slid the board on top of it. It was a little too hard to cut into so we just took it off before serving.